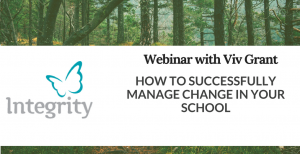 Watch My Webinar on "Successfully Managing Change in Your School"
Change itself is a source of significant concern for many of us. At certain times in our lives, we’ve probably all experienced feelings of uncertainty, anxiety and fear, when change has swept suddenly and unexpectedly into our lives. As a school leader, when you are frequently at the forefront of managing the change process such feelings are often constant companions. As you not only have to deal with your own feelings and emotions, but also those of the individuals that you lead and manage. School leaders must have a process in place for dealing positively with reluctance to change and the emotional and psychological demands that it places on individuals. As without such structures, the consequences can be damaging for everyone. 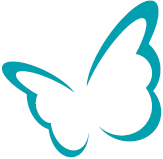 Thus, the aim of this Webinar is to discuss how we can positively transform our attitudes to change and subsequent outcomes, by learning to constructively engage with the personal dimensions of the change process.